A short film “Learn to Change the World” shows people from around the world who work on the big pedagogical tasks of our time based on Waldorf/Steiner pedagogy. After the great success of part 1 of the film “Learn to Change the World”, the second part deals with encounter, engagement and inclusion: learning that goes beyond merely accumulating information can be understood as an individual way to seek the truth. 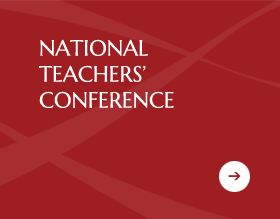 8-11 July, 2019 SEA National Teachers’ Conference Renewal for the 21st Century, in Byron Bay, NSW. 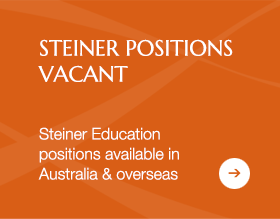 More information can be found the conference website https://www.steinereducation.edu.au/teachers-conference-2019/. 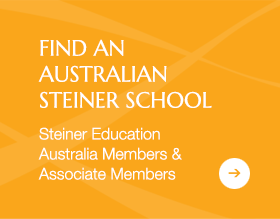 2-8 September, 2019 Steiner Schools’ Week Learn to change the world, will showcase Steiner and Waldorf Schools around Australia. 4-8 September, 2019 Samford Valley Steiner School is hosting the Australian Youth Conference to coincide with the 100 year celebration of Steiner/Waldorf education. For more information please contact Samford Valley Steiner School. 19 September, 2019 Little Yarra Steiner School Ensemble will be performing at the Waldorf 100 Metamorphoses Celebration in the Templedom in Berlin during their upcoming Waldorf 100 European Tour.